Sean J. 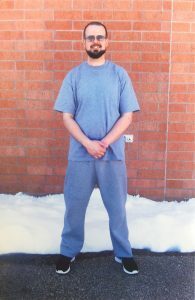 White arrived to prison in 1997 at the age of nineteen. His short fiction and poetry have appeared in numerous journals, most recently Xanadu, Natural Bridge, and Connecticut River Review. He has previously won awards from PEN American Center’s Writing Awards for Prisoners, honorable mention for poetry in 2013 and second place for drama in 2014. He is a fine artist as well as writer.